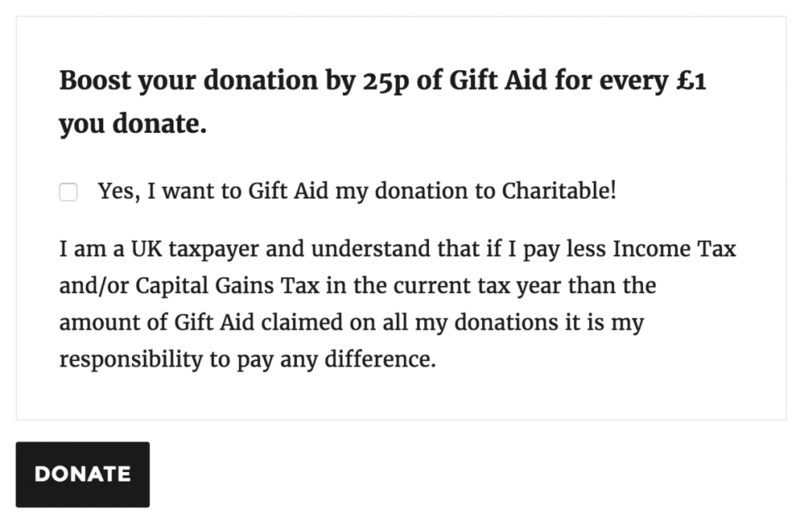 Installing Charitable Gift Aid is the same as installing any other Charitable extension. If you’re not sure how to do that, we recommend first reading our guide to installing Charitable extensions. Go to Appearance > Customize to open the Customizer. Open up the Charitable panel. Select the Gift Aid section. Finally, there is a new export option available. From the Donations page, click on Export. 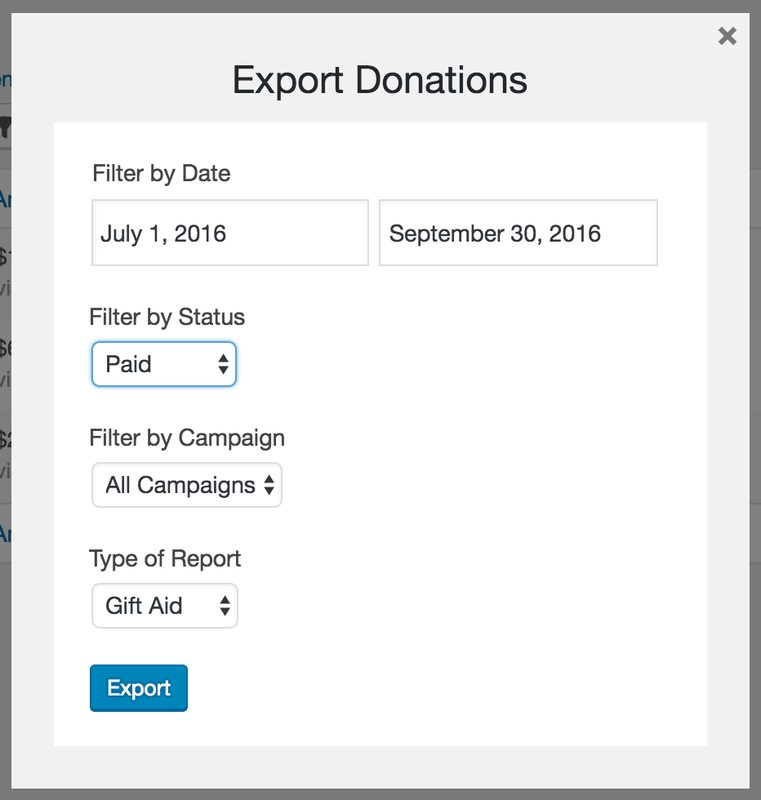 A modal window will pop up with a few criteria you can use to filter the donations. For the “Type of Report” setting, you can choose Gift Aid. 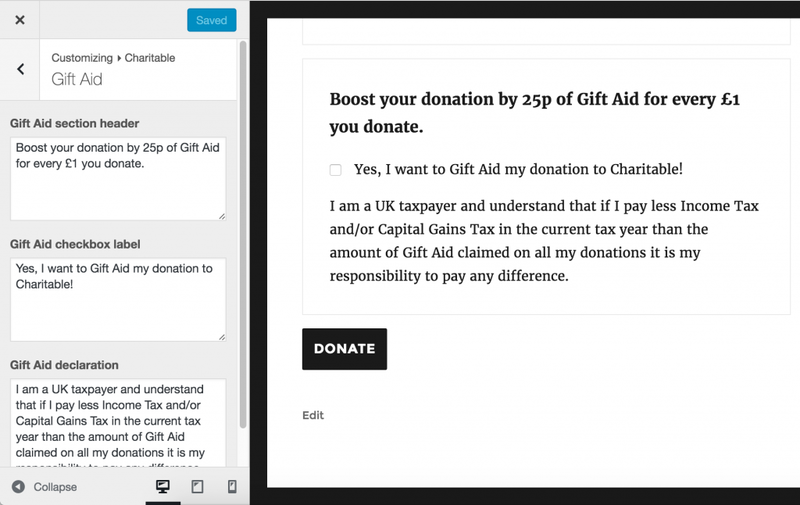 The downloaded CSV is designed to provide all the details you need about the donations to add into your the Gift Aid submissions to the HMRC.